It’s now official, Divinity: Original Sin 2 is hitting Steam Early Access on September 15th; the price will be $44.99 and you can already check the system requirements on the Steam page. Larian Studios told as much during our Gamescom 2016 meeting, but it was all under embargo until now. This RPG sequel was funded eleven months ago on Kickstarter with $2,032,434 in pledges. The developers said that this initial release content will include an island with about 8-12 hours worth of gameplay, though the subsequent updates will add more content and features. 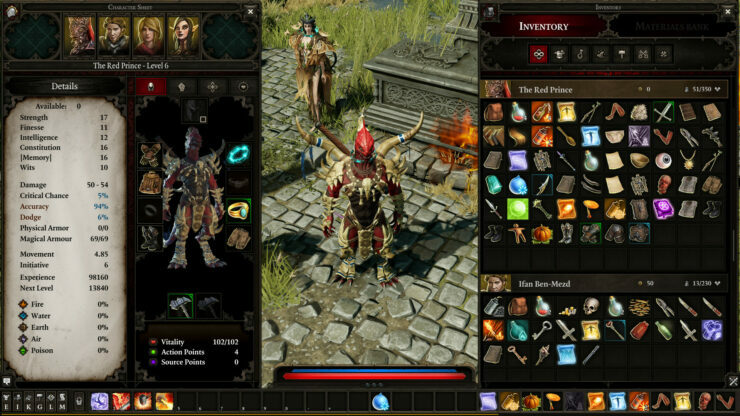 Here’s a brief story and feature overview of Divinity: Original Sin 2 – the game so far looks very promising and we’ll explain exactly why in our soon-to-be-published preview/interview combo. In a world where the Gods are dead, you play a wielder of forbidden magic, quarantined in the prison colony of Fort Joy. The Magisters of the Divine Order want to “cure” you of your powers. But the Order has secrets of its own. Secrets that threaten everyone. If the world remains godless, chaos will rule. It’s time for a new Divinity. Choose your origin story. Choose one of the unique origin stories that will define your character’s background and your personal quests. For the first time in a Divinity game, play as a Human, Lizard, Elf, Dwarf, or Undead, each with unique racial skills. Watch the world and its inhabitants react to who you are and what you’ve done, unlocking new dialog options and quest lines. Or create your own story by building your character from the ground up. More freedom than ever. Go anywhere, talk to anyone, interact with everything and be anyone you want. You can kill any NPC in the game, destroy objects, and use the game’s vast RPG systems to your advantage. Talk to animals and spirits to gain valuable information. Explore the huge , open world to find hours of hidden content, including entire new areas.